When I arrived started in 2018, there was lots to do, but my idea was set in stone: Create my own Maison in Burgundy but treat it like a Domaine and work with carefully selected growers and create a lasting partnership based on confidence and a shared belief. The vineyards that produce my wines today and, in the future, are all grown organically, certified or not, and in some cases bio-dynamically. I work with the growers on a day to day basis to help guide them through the best way to make the most out of the different terroirs and to produce the best grapes possible. Today, my range of wines are centered around the Maison in Villers la Faye, at the heart of the Hautes-Côtes de Nuits. Most of my wines come from the surrounding appellations of Hautes-Côtes de Nuits, Côte de Nuits – Villages and Nuits-Saint-Georges. In the hierarchy of the Burgundy appellations my range of wines are currently limited to the village level and some Premiers Crus. However, I have the unique opportunity to work with a grower on the Corton hill and add two Grands Crus to my portfolio: a Corton (red) and a Corton Charlemagne (white). Two of Burgundy’s most prestigious appellations on the Corton hill perfectly represent what makes a Grand Cru so special. The incomparable elegance of the Pinot Noir and Chardonnay grown here shows why only 2% of vineyards in Burgundy are classified Grand Cru. You lend Arnaud Boué between 190€ and 1250€ to finance his new project. Arnaud will then repay you in wine delivered straight to your door over 3 years depending on the plan you choose. You can choose from one of the following plans: only the Grands Crus Corton Les Renardes (red) and Corton Charlemagne (white), or mixt with Arnaud’s other wines if you wish to discover other appellations. Receive wines made with grapes from the 2018 harvest, including grapes from the Grand Cru vineyards you helped support. 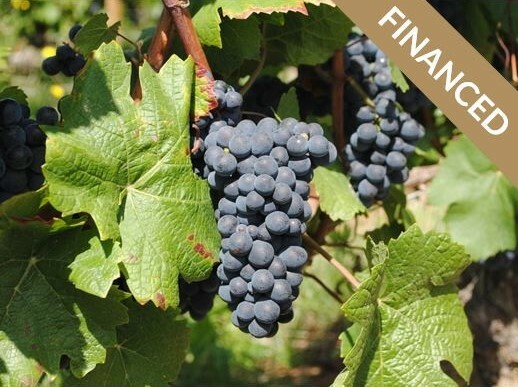 As a WineFunder you benefit from a price reduction on the wines and the cost of shipping in France is included. You save 34€, 20€ and 22€ with respectively with the above three plans. This is calculated using the price on the shelf and the cost of shipping . Whilst you wait for the wines from the 2018 harvest you receive wines from the same plots but already vinified and currently aging in barrel in the cellar. As a WineFunder you benefit from a price reduction on the wines and the cost of shipping in France is included. You save 142€, 90€ and 96€ respectively with the above three plans. This is calculated using the price on the shelf and the cost of shipping. For further information on shipping outside of France please click here. COST OF SHIPPING 6 BOTTLES A YEAR FOR 3 YEARS: Denmark, Finland, Greece, Ireland, Sweden. COST OF SHIPPING 6 BOTTLES FOR 1 YEAR: Corsica, United Kingdom, Belgium, Netherlands, Luxembourg, Germany, Italy, Spain, Austria, Portugal. COST OF SHIPPING 6 BOTTLES FOR 1 YEAR: Denmark, Finland, Greece, Ireland, Sweden. Coucou, Je te souhaite bonne chance dans ton projet et que celui-ci aboutisse selon tes espérances. Elisabeth SOLMON.